The Outdoor Hour Challenge Blog Carnival highlighted Reptiles and Amphibians in April, but where I live April was cold this year that the cold blooded animals weren't moving yet. So once we started seeing them in May, I had this study in mind. The first surprise was an amphibian one. It was the day my son came home with nine, count 'em, nine frogs! He only kept them a short time, and let them go before I could photograph them. Our second amphibian encounter was that my son found a tadpole and brought him home. We've been watching him grow his legs. I'd take a photograph, but the water has turned green, and you can't really see him. Our third amphibian enounter (multiple), was when we journeyed to Arizona mid-May. We saw lots and lots of lizards. Might look like a salamander, but trust me, it ran like a lizard! Our first reptile experience was the day JD brought home a baby from this year's newly hatched clutch (do turtles have clutches?) of snapping turtles. So, all in all, May was for us a good reptile and amphibian month. Wish we could have had this fun in April, but we're glad May is here (and almost gone) and that we've gotten to have some warm weather in which the cold blooded animals can move around. JD saw a water snake too, but no photo. So what have you seen in nature lately? 6th Do not allow yourself to fall asleep when listening to speakers (preachers, politicians, teachers, at conferences). If someone is standing, offer them your seat. If they decline it, remain standing anyway. Don't speak when you should remain silent. If someone stops to speak with you, do not ignore it and continue walking, but stop and speak with them. 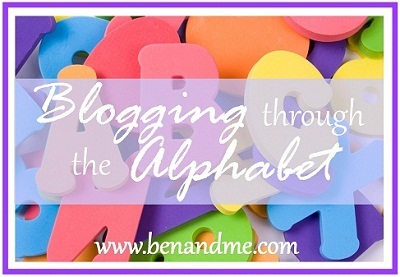 Today's "Blogging Through the Alphabet" is brought to you by the Letter "K". I'm having a little trouble thinking of K words today. My brain keeps thinking of "C" words that have a "K" inserted instead... But here goes. K is for kittens. I'm a dog person. Again, no photos. I'm not feeling well, and this post is late, so I'm just posting as is. When I feel better, I'll try to apologize to my camera for neglect and see if we can work together for some future posts. Those of you who read my regular blog posts (does anyone read my regular blog posts?) may have noticed I dropped out of sight for four days. Well, on Friday I woke up with a scratchy throat. I had my annual physical scheduled, so I went to it. I got my tetnus shot updated. Later in the day I developed a temperature. The temperature lasted all night Friday, all day Saturday, all day Sunday... It has finally broken, but I have white spots on my throat. I'm going, shortly, to a CVS Minute Clinic for a strep test. I'll let ya know. So maybe I have strep throat, or maybe I've had a bad side effect of the tetnus shot, but I've been in bed. But I'm in my recliner now, trying to post the plans for this week. Except I wrote them on the grocery list, and hubby didn't give it back to me, so I guess I'm going to have to wing it. I didn't even get a vegetable. (corn not being a vegetable, but a grain.) Sad vegan. Boy Scout Picnic - I'll be having an Amy's Quarter Pounder, whole wheat flat, and I am taking a side dish of International Stew and Tortilla Chips (International Stew being a mix of black beans, diced tomatoes and corn). 5th If You Cough, Sneeze, Sigh, or Yawn, do it not Loud but Privately; and Speak not in your Yawning, but put Your handkerchief or Hand before your face and turn aside. 5th If you need to cough, sneeze, sigh, or yawn, do quietly, to yourself; and if you need to yawn, don't talk at the same time, but put Your handkerchief or Hand before your face and turn aside. FLASH! Did you see the offer by The Old Schoolhouse Magazine? 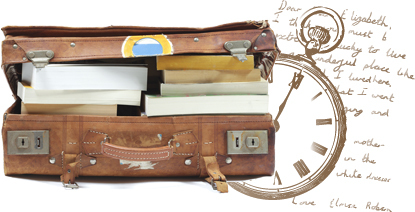 Are you a new homeschooler and feeling overwhelmed? Not sure where to start or how to begin? How about a long-time homeschool parent who is looking for some new, fun reading resources to change things up? Don’t start your homeschool journey off feeling alone and overwhelmed. Buy the Schoolhouse Library now and get started today with instant downloads! Come check it out at The Schoolhouse Library! and come join the fun! 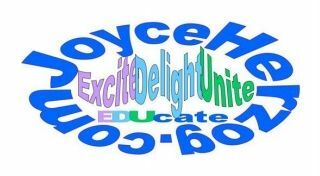 In April, I was delighted to be selected to receive a copy of Learning in Spite of Labels: Practical Teaching Tips And A Christian Perspective of Education , by Joyce Herzog, to review for the Old Schoolhouse Magazine Schoolhouse Review Crew. I had heard of Joyce Herzog and some of her products, but I had not previously had the opportunity to actually read or use any of her materials. Here is the Arizona diagram again. Today I'm going to focus on the Flora we saw in the Sonoran desert. Today I will focus on the flora of the Sonoran Desert. On the above diagram, the Sonoran Desert is the lowest section. We began our day in the grassland desert area and drove north toward Tucson. As we drove, the grassland was dotted by cholla and prickly pear, jojoba and scrubby mesquite trees (photo below shows also that cow I showed in my last entry). Oh, also forgot to mention, it was quite an experience for us to be, once again, in an area that has roads that are not paved. In my suburban life, even all the driveways are paved! Anyway... got on the highway and drove a half an hour and gradually we began to see barrel cacti. Drove a little further, and suddenly we were in the Sonoran Desert, and the saguaro were everywhere. The palo verde trees were blooming yellow (above), but the occotillo, which had been blooming in Sierra Vista (grassy mesquite desert) were not blooming any more in the hotter (lower elevation) desert. Like that cactus wren on that last flower? In addition to cactus wren, we also saw in this area prairie dogs and a coyote (that we couldn't catch a photo of). This concludes my photo diary of our time in the Sonoran Desert. The next nature study will cover additional zones of habitat that occur in Arizona. I hope you are enjoying these nature studies! This is my Outdoor Hour Challenge post #2 on the Arizona Grassland area. This post will focus primarily on fauna. At first blush, the grassland region seems barren, lifeless and bare. In actuality, there's a whole lot a livin' goin' on! During our stay there, the biggest evidence we saw of wildlife was in the area of birds and lizards, although I imagine if we studied the subject we would find the land also supports possibly javalinas, coyotes, deer and prairie dogs. Here are the varieties that live in Arizona, although I don't have the information about which ones live in which climates or biospheres. In our area we only have the ruby-throated hummingbird, and I seldom get to see one. the shy orioles and finches and various other not yet identified birds. In addition, we saw lots of lizards, but I don't know lizards from lizards. My series on Arizona nature study will continue with my next nature study blog entry. Blogging through the Alphabet - the Letter "J"
Blogging through the Alphabet -- The Letter "I"